Is there a better alternative to Colors? Is Colors really the best app in Productivity category? Will Colors work good on macOS 10.13.4? 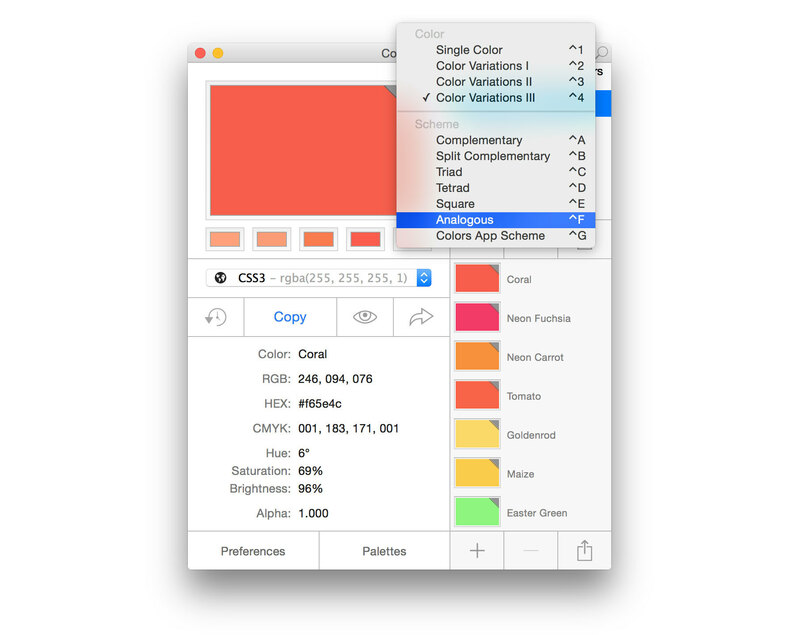 Colors is a color picker, color scheme, and color palette tool on steroids. Tired of having to use three to seven different apps for your daily work with colors, palettes, swatches, schemes, and color codes; not to mention all the hassle to access them from all your different apps and to keep them in sync across all your Macs? MOApp to the rescue! With Colors you can have it all inn one single application. Colors needs a rating. Be the first to rate this app and get the discussion started!